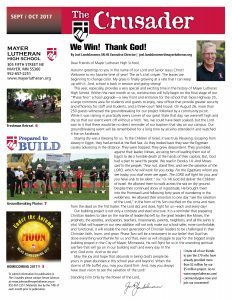 Click on the image of the newsletter to read, download or print the current newsletter. Executive Director Joel Landskroener: We Win! Thank God!